Big retail is still in big trouble. 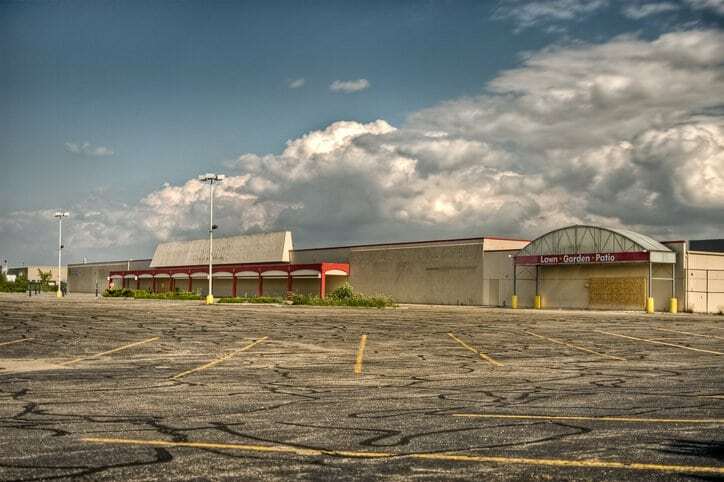 CB Insights’ recent retail report found 21 high-profile retail bankruptcies in 2017 including such well-known brands as Radio Shack, Gymboree, and Toys ‘R’ Us, with the pace of closings accelerating significantly. Meanwhile, a select group of online natives are growing, mostly at the expense of legacy brands. Chief among them, of course, is Amazon. And similarly to when IBM transitioned to become a data company versus a manufacturer and created opportunity for smaller companies to step in, the broadening of Amazon creates opportunity for retailers of all sizes (most of which are smaller than Amazon) to embrace personalization and create differentiation. Amazon was one of the first to offer personalized product recommendations, using collaborative filtering to suggest products based on what other people had purchased. But Amazon, which placed 50th on our second Retail Personalization Index, is no longer leading when it comes to personalization. While the organization employs thousands of engineers, the corporate strategy for Amazon is not based on differentiating through personalization; their goal is to reinvent the business operations across online shopping, grocery, the connected home, and more. Additionally, the companies that are fully invested in personalization are seeing revenues grow two to three times faster than brands that are lagging in adoption. If your brand has yet to embrace personalization as a business strategy, you probably already know that there’s no time to waste. There are three steps to getting started, and we’re helping to make them as simple as possible. You can’t start if you don’t know where you’re starting from, so Sailthru has developed an online assessment to score where you are today. The assessment takes just a few minutes to complete and takes your brand’s approach to email, web, mobile, in-store, digital advertising, social media, and direct marketing into consideration. The methodology is based on surveys of more than 13,000 consumers to identify what attributes of a personalized customer experience lead to higher customer satisfaction, repeat purchases, advocacy, and more. Home Depot, Ann Taylor, Desigual, Target, Swarovski, Office Depot, and hundreds of other retailers have used the assessment to develop a baseline score and are now working towards strategies to improve. Any organization, before furthering or embarking upon a personalization strategy, needs to understand what makes their brand, and their customers, unique. This is how you set the foundation for differentiation. Home Depot, for instance, realizes that its warehouse-style stores can easily overwhelm. So its mobile app tells customers which aisle and shelf contain the exact item that they’re looking for. Foot Locker uses its loyalty program, combined with its shopping app, to alert its most fanatic customers to the arrival of limited-edition sneakers. Birchbox uses unique engagement strategies within its mobile app to appeal to its most engaged users. Like other organization-wide strategies, personalization is something that needs to be developed and advanced in an ongoing manner. Product recommendations based on the so-called wisdom of the crowd used to be cutting edge. They’re still useful, and they still work, but they no longer set a brand apart. Alone, they won’t do much to help a brand build the superior customer experiences that lead to long-term, sustainable growth. And that’s what personalization is all about: Building experiences that are so exceptional, and so tailored, that your customers can’t help but stick with you. 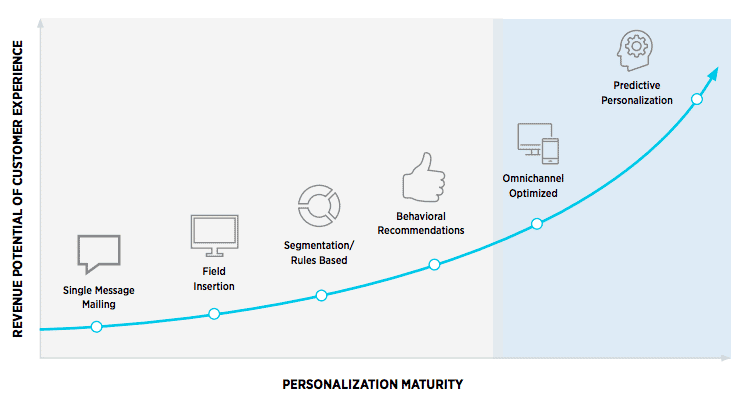 Sailthru’s Decoding Personalization Guide includes a Personalization Maturity Curve, an easy-to-understand visual that illustrates the typical progression of most retailers’ personalization efforts. If you’re sending your customers batch-and-blast emails, maybe including their first names in the subject lines, you’re at the very beginning of the curve. If you’re using predictive analytics to recommend products based on the likelihood that a particular customer will buy an item above a certain price threshold within the next 30 days, you’re operating at the more advanced part of the curve. Most brands will find themselves somewhere in the middle, and the curve will give you a good idea of where you should focus your next efforts to advance. Check out Sailthru’s approach to website personalization and see how you can develop an improved strategy for your business.